Have you seen the bald eagle camera at Codorus State Park in Pennsylvania? It is fun to watch the eagles whether you are an adult or to share with children. 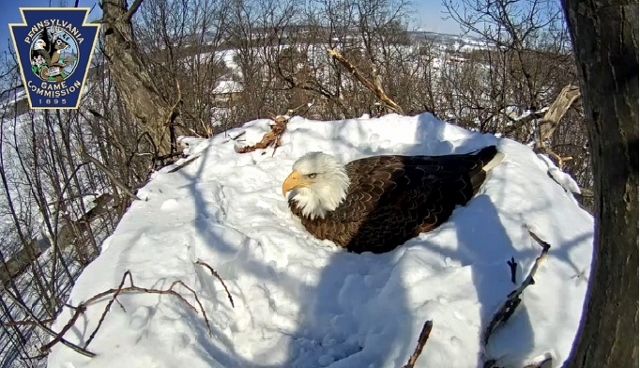 Right now the nest is covered with snow and it is well below freezing but the eagles are still on the eggs. You can see the mate bringing in food and changing off with the nesting duties. Warning – watching the eagles can get very addictive. Take a look! Click on link below to see them breaking free from a mound of snow. Check back around March 21 to see if the two eggs have hatched.